If there is one every parent will tell you, little girls are constantly on the go and into just about everything. As they are out exploring, it isn't too uncommon for them to get into little accidents, leading to ripped pants and tears. As a parent or relative, this can be heartbreaking since we are left powerless and wishing there was some way we could make life easier for them. 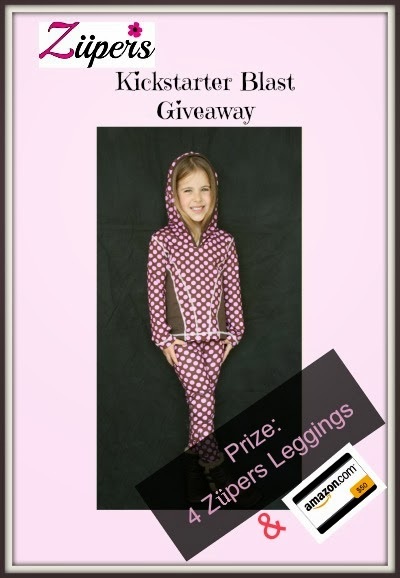 What if someone created the perfect legging for little girls that not only protected their legs but also looked fashionable? Luckily, someone has - Züpers! My girls would've loved these when they were younger. I might have to see about getting some for my great nieces or my cousins girls. Disclosure: Book Worm & More did not receive compensation for this giveaway. Facebook, Twitter, & Pinterest are in no way associated with this giveaway. Prize fulfillment and shipping will be handle by Züpers & Budget Earth.